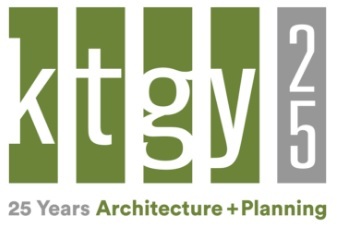 IRVINE, Calif. – (RealEstateRama) — International award-winning KTGY Architecture + Planning unveiled today the planning and design for a new Experiential Urban Lifestyle development in the City of Westminster, California. Currently called Bolsa Row, the new project will serve as the prominent gateway to “Little Saigon,” the largest Vietnamese community in the U.S., and one of Orange County’s fastest growing treasures. Bolsa Row is being developed by IP Westminster, LLC, led by Joann and Bac Pham, a developer with hotels in Garden Grove and other nearby cities. Located on six acres on the southeast corner of Bolsa Avenue and Brookhurst Street, the planned development includes a five-story 150-room hotel, which is the area’s first, and a five-story 201-unit apartment community with a mix of studios and one- and two-bedroom apartment homes. The design currently includes approximately 60,000 square feet of ground-floor experiential and lifestyle retail, restaurant space and an event facility. The plan is connected and energized by a “Festival Street,” a pedestrian-friendly retail promenade that could host Southeast Asian summer market nights and similar events. Toll Brothers Regency at Summerlin® designed by KTGY offers nine unique single-story home designs with desert contemporary exteriors in a walkable, amenity-rich community. According to international award-winning firm KTGY Architecture + Planning, well-designed luxury homes targeting 55+ buyers in amenity-rich communities continue to experience strong demand.